Poor performance on a simple odor identification test was associated with a significantly increased risk of developing dementia years later, in a study of more than 2,400 older black and white adults led by Kristine Yaffe, M.D., a UC San Francisco professor of psychiatry, neurology and epidemiology and biostatistics. 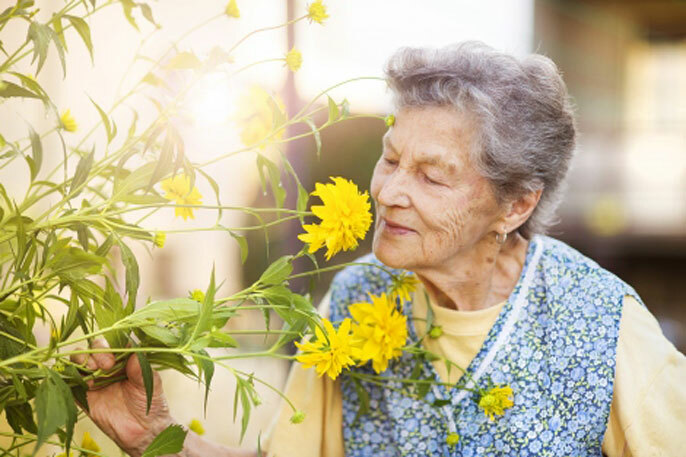 Researchers said the results support olfactory testing — which is simple, noninvasive and inexpensive — to identify those at risk for developing dementia. Previous studies have not included diverse populations, so it was not clear whether the testing might be useful. Co-authors of the study are Daniel Freimer of the Northern California Institute for Research and Education; Honglei Chen, M.D., of the National Institute of Environmental Health Sciences; Keiko Asao, M.D., MPH, of the University of Tennessee; Andrea Rosso, MPH, of the University of Pittsburgh; Susan Rubin, MPH, of UCSF; Greg Tranah and Steve Cummings, M.D., of the California Pacific Medical Center Research Institute; and Eleanor Simonsick of the National Institute on Aging. The study was supported by funds from the National Institute on Aging, the National Institute of Nursing Research and the National Institute of Environmental Health Sciences.